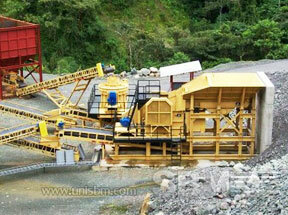 Mobile jaw crusher plant puts crushing and screening process on wheels. By combining feeding, crushing and screening equipment together with belt conveyor, SBM Mobile Crusher Plant can be adapted for all mobile crushing applications. 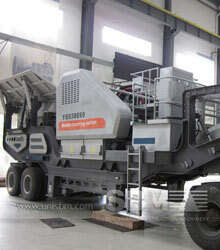 SBM is the world’s leading manufacturer of mobile crusher plant, varying from open-circuit to closed-circuit. SBM Mobile Crushing and Screening Plants have been widely provided for mining, aggregate, construction, recycling and industrial minerals crushing. As a matter of fact, SBM supplies a full line of crushing plants including stationary, semi-mobile or fully mobile crushing plants. Also, there will be special solutions incorporating primary crushing plants for higher capacities. The Kibali project, owned by Randgold Resources (45%), AngloGold Ashanti (45%) and State-owned Okimo (10%), could poten- tially be one of the world’s largest gold mines. The total probable mineral reserves currently stand at 9,2-million ounces of gold, with the indicated mineral resource at 13,9-million ounces and inferred mineral resources at 5,8- million ounces. SBM has provided world-class mobile jaw crusher plant for the open pit operations and sizing of the processing plant. Tonkolili iron-ore project is targeting at the World Class Magnetite Iron Ore Asset. Mineral exploration company African Minerals’ Tonkolili project is considered to be one of the largest iron-ore discoveries on the African continent. The deposit comprises Numbara, Simbili, Marampon, and the newly surveyed Kasafoni, which have a Joint-Ore Reserves Committee-compliant mineral resource of 10,5-billion tons. SBM has provided mobile crusher plant for the iron-ore project which is one of the largest exploration programme in Africa in 2009. "We have entered into $1,5-billion strategic investment understanding with Chinese SBM Mining and Construction Company with respect to the mining equipment supplying."